Kia Picanto Performance, Engine, Ride, Handling | What Car? There are three engine choices and all are relatively small petrols. The non-turbo 1.0 is the cheaper option and makes sense if you spend most of your time in and around town. However, with a weedy 66bhp, it needs to be worked very hard elsewhere; motorway slip road dashes and country road overtakes require patience and a heavy right foot. By city car standards, even the 1.25 is pretty potent. It may not have the pace to match the fastest versions of a Volkswagen Up, it gets the Picanto up to 70mph without too much effort. Plus, it revs more keenly than the 1.0 and its extra pull from low revs is useful for overtaking. It really is all you need. At the top of the tree is another 1.0-litre three-cylinder engine, this time with a turbo. It’s even more flexible than the 1.25 at low engine speeds and feels noticeably swifter on the road. It’s certainly the best engine in the range, but is rather more expensive than the 1.25. We’d suggest you stick with the five-speed manual gearbox, which makes better use of the engine’s performance than the optional four-speed automatic. The Picanto is well damped but a little on the firm side, so it doesn't ride as smoothly as an Up or a Hyundai i10. It jostles you around more over scraggy town roads and fidgets a bit on pimpled sections of motorway. However, it’s not terrible by any stretch, especially if you avoid the relatively large 16in alloy wheels fitted to X-Line and GT-Line models. 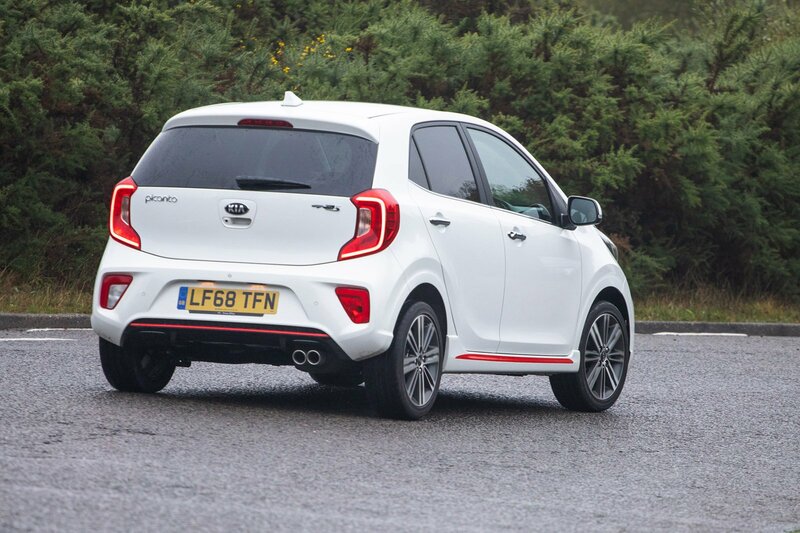 And while its firm setup means the Picanto tends to follow imperfections in the road, the well-judged damping means it doesn’t bounce around uncontrollably over larger undulations, as some city cars do. Besides, the ride settles when you venture out onto faster roads, at which point the Picanto becomes a relatively comfortable little thing. Get onto a winding country lane and the Picanto feels more at home than many of its rivals, including the i10 and Up. It darts into bends with surprisingly little body lean, hangs on willingly and its steering is hard to fault for accuracy, even though you won't feel a great deal of feedback through your fingertips. 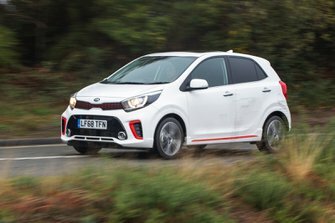 Importantly, the Picanto has light steering at low speeds combined with a relatively tight turning circle, so it's a doddle to thread through traffic and park in tight spaces. The fact that you need to work the Picanto’s small engines quite hard to get the best from them inevitably creates a bit of noise inside but, don’t worry, it’s nowhere near bad enough to have you reaching for your ear plugs. The four-cylinder 1.25 is boomier at really high revs than the three-cylinder engines, but the latter send more vibrations through the pedals and steering wheel. 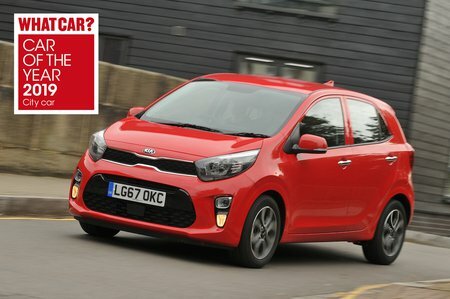 City cars generally prove a bit noisier at speed than larger models, and chatting with your passengers in the Picanto while on the motorway will involve raising your voice a tad. Still, there’s less wind and road noise to contend with than in an Up. On the upside (no pun intended and all that), the brakes are easy to meter, so driving smoothly isn’t an issue. The manual gearbox has a nice shift action and the clutch is positive, too. The alternative four-speed auto ’box, meanwhile, is occasionally jerky.